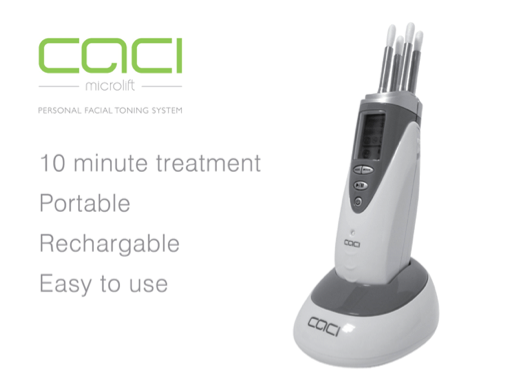 The Caci Microlift is now available at Olimi. It allows you to experience the Caci facial toning technology in the comfort of your own home. A 10 minute treatment, it is portable, rechargeable and very easy to use. Caci toning gently tightens and firms the facial muscles and helps to restore shape and tone. It has 3 intensity levels of for toning and smoothing wrinkles. At Olimi Hair and Beauty we have been offering Caci treatments in house for some time now and are very excited to be able to make the home Caci Microlift system available to you. Please ask in Salon for more information or just give us a call – We’d love to hear from you!